Brexit once again dominated the subject of the Opposition Leader’s six questions this week and as usual, answers did not dominate the session and nothing was made clear. Jeremy Corbyn came out on top in terms of performance not only because his comebacks were reasonable, witty and true but because his concise questions regarding the alternative arrangments for the renegotiation of the withdrawal bill with the EU should have been reasonably easy to answer and would have given the public a clearer idea of what the PM is planning to do. However, Theresa May was up to her usual tricks of serial avoidance and evasion. Instead, opting to turn some questions around on to Jeremy Corbyn, using smear tactics to deflect blame for her failures onto him. Parliament seemed a bit more subdued than usual again this week, perhaps even the Members of Parliament are becoming as bored as we are of hearing these same questions every week with the same prattling that the Prime Minister considers answers. 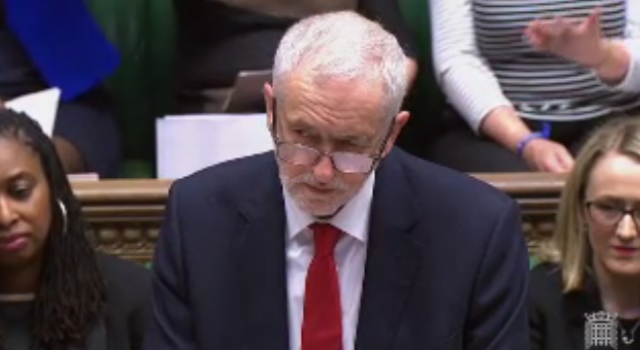 Perhaps one of the most depressing observations this week is that when the Leader of the Opposition, Jeremy Corbyn said “It is our responsibility to bring people together” He was interrupted with raucous laughter. Why is this so funny? A great leader is one that can unite his/her people. We are in a situation currently where approximately 17 million people voted to leave and approximately 16 million people voted to remain. Our country is the most divided I have ever known it to be. Someone has to stand up and find a way to unite our country but our Government can’t even unite its own party and openly laugh at the idea of bringing people together. This is no laughing matter and whilst the people are divided we lack the unity needed to hold this Government to account for its failures outside of the Brexit smokescreen. Nothing clear comes out of these sessions apart from that we seem to have the most apathetic Government in history. Nothing seems to get done, the rules of Parliament seem to protect them from their misleading comments and we just continue to plod down a destructive path. “I am just telling the shadow Foreign Secretary if she will listen—let me give her a piece of advice: if she wants to shout things, it might be better to shout them in response to what I am saying. “None of that was very clear to me; I do not know about anybody else. It would have been really nice if the Prime Minister had acknowledged that she did whip her MPs to try to support no deal, and she was defeated on that. “What has been absolutely clear in my contacts with European Union leaders is that they want a deal. What the House voted for last night was to leave the European Union with a deal, but it also crucially showed what it will take to see support in the House for a deal in the future. I think that the plan that was set out last night shows that we can obtain a substantial and sustainable majority in the House. The right hon. Gentleman talks about not being clear about positions on various things. I am very pleased that he is now going to meet me, because there are a number of issues that I want to discuss with him. For example, he talks about a strong single market relationship with the European Union in the future. I want to know whether that means that he wants to accept all EU state aid rules, because he has objected to them in the past, and he cannot have it both ways. “Last time I looked at the Order Paper, it said “Prime Minister’s Question Time”. The Prime Minister has herself said that “the only possible deal” is within her red lines, so it is perfectly reasonable to ask which of her red lines has changed. “I look forward to meeting the Prime Minister later today, because I want to put forward Labour’s alternatives, which could command a majority in the House and which are about protecting jobs and people’s living standards across the country. “I say to the right hon. Gentleman that I have pointed out that there are a number of options that people are putting forward that we are working positively with them on. I have already referenced a number of things that are in the political declaration on alternative arrangements that do set out various aspects that could be looked at; I referenced one of them in my answer to his earlier question. “It really is time that the Prime Minister acknowledges that she has got to move on from the red lines she has put down in the first place, and she does not acknowledge that in answer to my questions or indeed anybody else’s. #MadMayhem is completely delusional. If she had any sort of moral backbone or even a hint of integrity she would resign and call a General Election. She is the worst Prime Minister in modern British history. A true disgrace and deservedly nationally, and internationally, reviled.